Using a sheet of aluminum foil that is large enough to cover your pan and fold back over the dish, set in a pan with low sides. Lay fish fillets in a single layer on the foil down the center. Combine parsley, Italian seasoning, garlic and onion powder and salt together in a small dish, then sprinkle evenly over fish. Place onion slices and tomato slices over fish, then dot the butter on top. Wrap foil and seal the edge to lock the seam tightly. Bake at least 30 minutes, or until fish starts to flake. Remove from the oven, turn temp up to 400 degrees F. Fold back the foil. 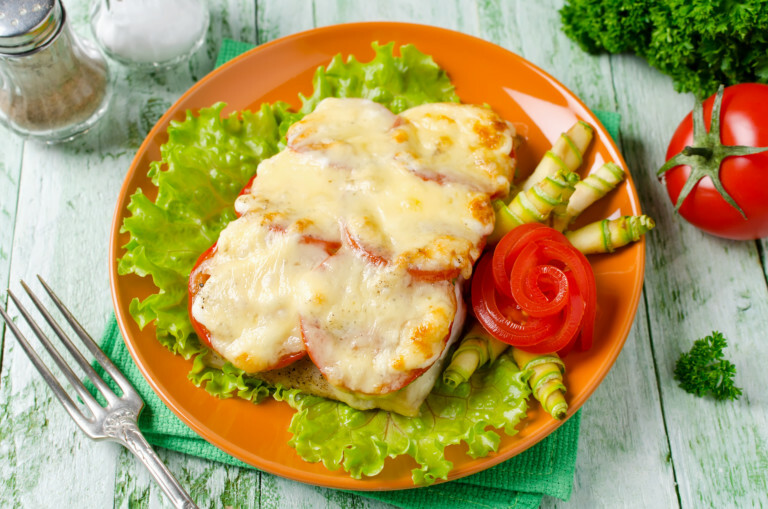 Sprinkle cheese across the top of the dish and return to the oven and bake uncovered until the cheese is melted and slightly brown.